All Eureka homes currently listed for sale in Eureka as of 04/18/2019 are shown below. You can change the search criteria at any time by pressing the 'Change Search' button below. "Luxury Investment Property custom built in 2006. Zoned Multi-Family RM-1000/R3. This is a one-of-a-kind property built by Will Adams, a local residential and commercial builder. Both units have a long history of renting to physicians at St. Joseph Hospital. Main house: Open concept main floor with office and half bath. Upstairs 2 bedrooms, 1 full bath with large soaking tub, large 4'x4' shower, and washer/dryer. Rent $2300. In-law Unit: Located in the back is breathtaking 1/1 loft with soaring ceilings, bathroom on first floor, and Laundry on the second floor! Rent $1800. Both Units are separately metered, have museum finish walls, custom woodwork/cabinets/windows. Side yard is perfect to build a house or 4 more units with unobstructed view of the bay and beautiful sunsets! Quiet neighborhood with great neighbors. Buyer to verify sq ft, schools and additional units." "Great setup in this 4/3 house (2800sf) on quiet cul-de-sac with decks and nice yards, next to forest with lots of trails with backyard access. Close to shopping and conveniences but with a country feel. 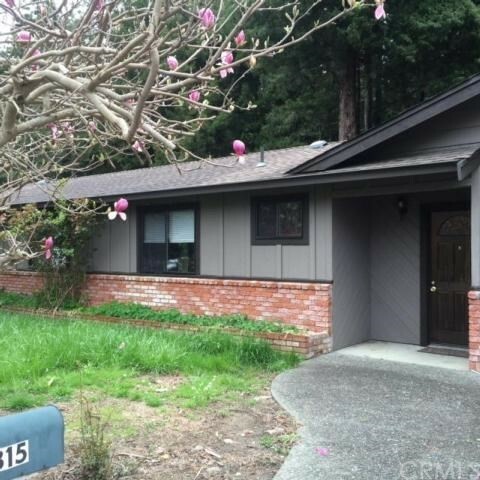 Like new interior, beautiful tile hardwood floors and carpet throughout, wood stove. 2 good sized bedrooms and den/bedroom downstairs with living room and bathroom; upstairs is another big living room and kitchen with huge master bedroom and bathrooms, and 2 closets (one walk in). It has a two unit setup, could easily make another kitchen out of the second living room. 2 car garage, 2 nice decks, treehouse and great back yard on half an acre. A must see..."